(osier for furniture), chicle, pepper, and others. In the heart of this jungle, surrounded by lush vegetation, lies one of the major sites of the Mayan civilization. The ceremonial centre contains superb temples and palaces, and public squares accessed by means of ramps. Remains of dwellings are scattered throughout the surrounding countryside. The ruined city reflects the cultural evolution of Mayan society from hunter-gathering to farming, with an elaborate religious, artistic and scientific culture which finally collapsed in the late 9th century. At its height, AD 700-800, the city supported a population of 90,000 Mayan Indians. There are over 3,000 separate buildings dating from 600 BC to AD 900, including temples, residences, religious monuments decorated with hieroglyphic inscriptions and tombs. Excavations have yielded remains of cotton, tobacco, beans, pumpkins, peppers and many fruits of pre-Columbian origin. Large areas are still to be excavated. When I mentally categorize world heritage sites I visit, one of the ways I segregate them in my mind is between major and minor sites. I’d estimate that 90% of the sites I visit are minor, with 10% being major. The major sites are the ones that most people know of: The Pyramids, The Grand Canyon, The Great Wall, etc. 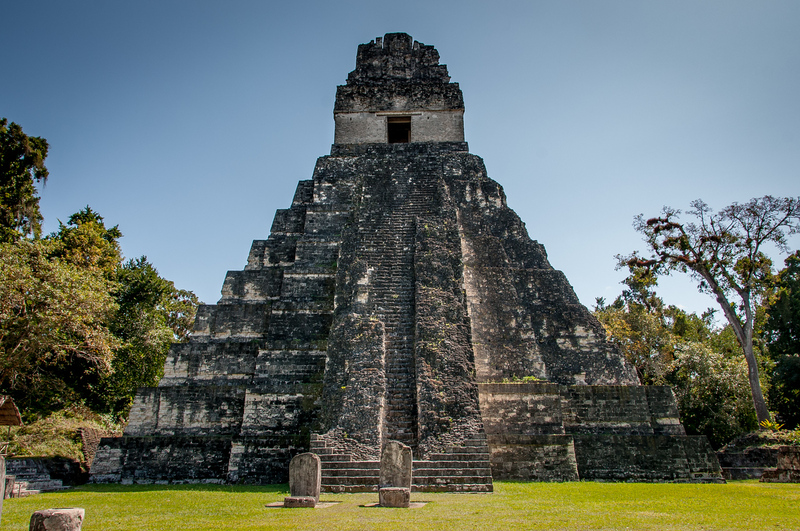 I’d easily categorize Tikal as one of the most significant heritage sites in the world. Easily a top 100 attraction. Not only is it perhaps the most important Mayan site in the world, but it is an important biosphere reserve as well. In the hours I spent at Tikal, I saw monkeys, heard howler monkeys and many different and colorful species of birds. The importance of Tikal can be seen on the Guatemalan license plates and currency, both of which carry and image of temple #1 from Tikal. I highly recommend a visit to Tikal if you are in the region (Southern Mexico/Belize/Guatemala). I considered it to be on a par with Angkor in Cambodia and one of the top destinations for archeological ruins in the Western Hemisphere. Tikal National Park is a mixed category UNESCO World Heritage Site. It was inscribed in 1979 and is part of Guatemala within the Peten Basin. This archaeological site is part of the Mayan civilization and has been dated back to the Early Classic to Late Classic period. This national park consists of ruins from an ancient city in the middle of a rainforest in Guatemala. It is considered as one of the largest archaeological sites from the pre-Columbian Maya civilization. It served as the former capital of a conquest state that was among the civilization’s most powerful kingdoms from the ancient times. 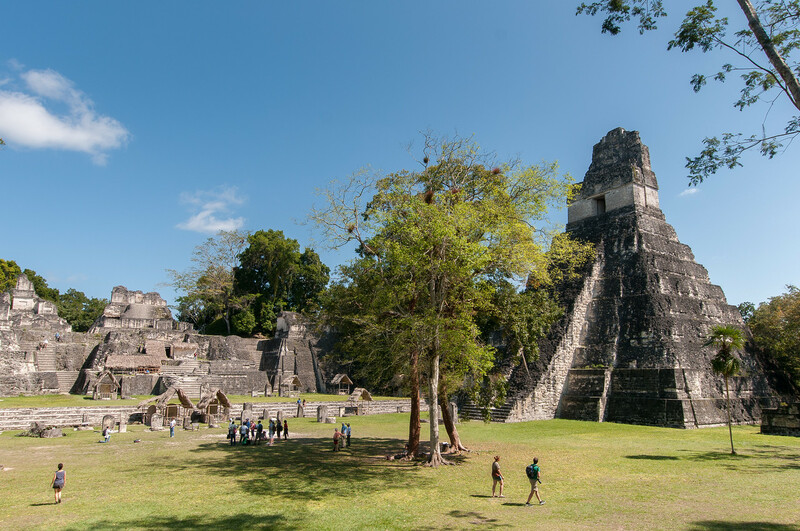 Tikal National Park encompasses a land area measuring 575 square kilometers. 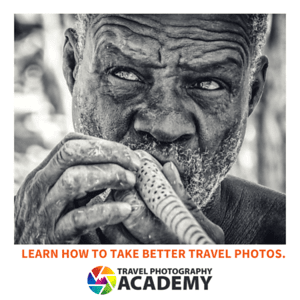 It is located at the heart of the Guatemalan rainforest, wherein its remoteness has also contributed to its incredible state of preservation. It consists of thousands of ruins of structures and buildings from the ancient Maya civilization. Within the central part of the ancient city alone, there are over 3,000 buildings within a 16 square kilometer land area. 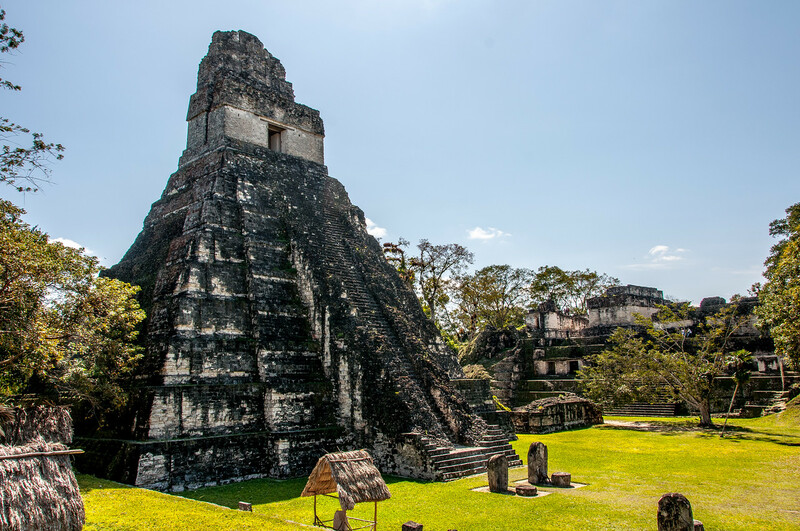 For this reason, Tikal National Park is considered as the largest excavated site in the American continent. It is also the most popular cultural and natural preserve in Guatemala. According to the studies done on the archaeological ruins, experts can estimate that the area wherein the national park is built in was established around 900 BC. Since its establishment, it developed into an important cultural, commercial, and ceremonial center and it went on being that way for many centuries. Some of the large temples at the park were built in the 8th century AD. During this time, the ancient city had about 100,000 in population and it was the greatest city in the Maya civilization. The temples and complexes in Tikal, as with the Mayan temples in the Yucatan Peninsula of Mexico, suffered a decline by the end of the 9th century. From its height to power, it quickly became abandoned. There were many theories as to what caused the collapse of the Maya civilization at Tikal National Park. Many archaeological experts trace it to wars, famine, and resource depletion (partly due to overpopulation). 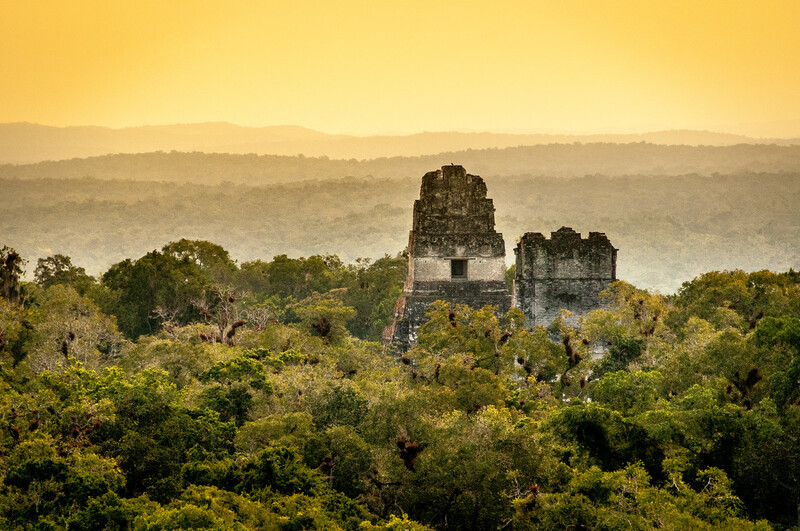 The temples and various structures that form the archaeological complex of what is now known as the Tikal National Park languished for several centuries. Eventually, they were reclaimed by the jungle after many years of abandonment. In 1525, the great conqueror of Mexico Hernan Cortes stumbled upon these temples but they were unrecognizable as most of the temples and structures were covered in cedar, silk, and mahogany trees. The ruins were officially discovered in 1848 when an expedition team stumbled upon the ruins. From the 1950s to the 1960s, there was a collaborative effort between the Museum of the University of Pennsylvania and Guatemalan Institute of Anthropology and History to restore the archaeological fins and ruins at Tikal National Park. The archaeological park has since been considered a national symbol of Guatemala, same with the status of the Great Pyramids in Egypt. To this day, enormous trees still surround the great temples and plazas consisting of multiple structures and buildings. Aside from the great plazas and temples, there were also other types of structures that were uncovered such as tombs, stelae, and huge stone masks. View my complete list of UNESCO World Heritage Sites in Guatemala.